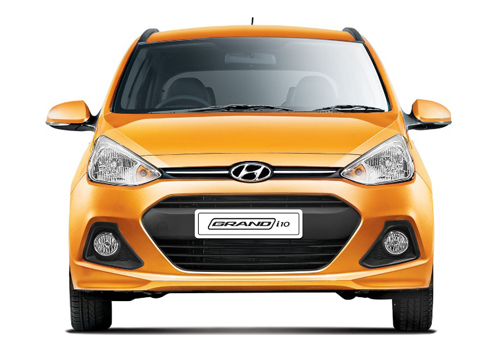 Hyundai Grand i10 one of best selling hatchbacks in Indian car marker failed in getting through NCAP crash test held in Latin recently. The vehicle failed in satisfying precautionary measures that were offered for providing complete protection to adults and could score only two stars in standards determined for providing safety to children. 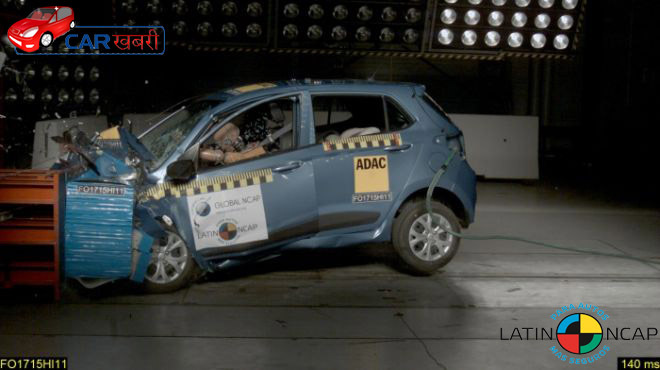 According to reports the version of Grand i10 tested during Latin NCAP test was not carrying any airbags, ISOFIX seat anchorages followed by absence of ESC equipment. It is also reported that unit displayed irregular performance during the test. The unit test during test was recently launched in Argentina and was endorsed to be blessed with necessary safety measures. According to sources of Latin NCAP the version which was used during the test may also lag in safety features. Commenting on the failure of Grand i10 in Latin NCAP test María Fernanda Rodríguez, President Latin NCAP said, this is something very heart touching that version of Hyundai Grand i10 launched in Latin America lags in terms of safety measures that are offered in version of Grand i10 in European car market. Going through the results and assessing the reputation of Korean car maker it is expected that it will offer same types of products in all countries of the world without any differences. Moving ahead Rodríguez said that time has come for all governments across the world to look after the safety measures that are adhered in cars and make it mandatory for all car makers to equip their vehicles with necessary safety measures.